We have been Bradford’s leading garage door supplier for the past 30+ years, therefore we know the skill set and experience is there to help you with any of your problems. 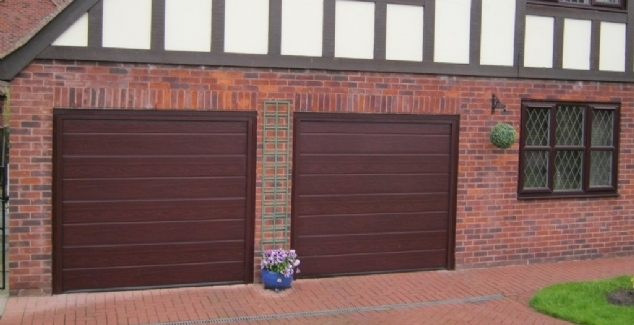 A common issue with many of our customers is they simply don’t know the difference between each of our garage doors – this is where our experts can help. Our up and over garage doors are of the highest quality thanks to our ongoing relationship with Hormann – Europe’s leading supplier of garage doors. The operation is in the name, the door moves up and over the opening, swinging out to then slide back on the track which stores the door parallel to the roof. The up and over is a reliable and durable option to front your home. It is the traditional garage door and the operation has stayed the same since its creation – what does that say about how reliable it is, especially with the progression in recent garage door technology? 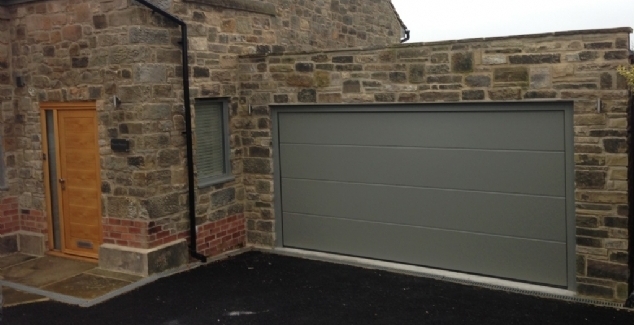 Roller garage doors are arguably the most secure and reliable garage doors. Their main objective isn’t to look absolutely stunning, they’re made to enhance your garage’s security and insulation levels, but still looking attractive whilst doing that. The door is made up from multiple slats which wrap around a drum located above the garage door’s opening when the door is open. The drum is stored inside a small box above the opening, meaning the roller garage door is easily the best for space-saving as it doesn’t swing out and doesn’t require any headspace to be stored. Now on to our most popular garage door – the sectional garage door. Popular for many reasons including fantastic insulation and the ability to improve the aesthetics of your home’s exterior. Since the sectional garage door has very little pivot points, it makes it hard for any potential intruders to break in. If you automate the door it makes it even more secure as it removes the need for a handle and key hole meaning there is virtually no pivot points. Made up of separate panels which are able to bend with the track as it transitions from vertical to horizontal, the sectional garage door slides back parallel to the roof – similarly to the up and over. The only difference is that the sectional doesn’t swing out and therefore requires zero drive space, meaning you can park however close to the garage you like. Bradford Garage Doors have been helping people replace and repair their garage doors for more than 30 years. 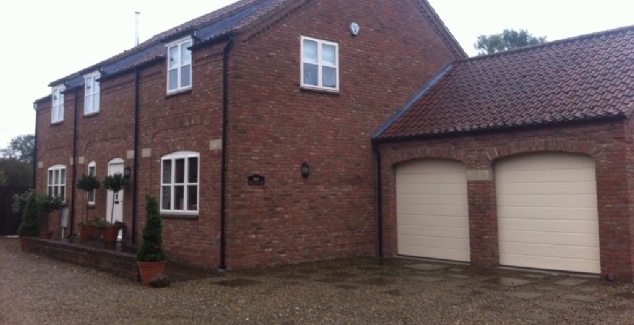 If you are considering investing in a new garage door, our team are here to help. Please call us on 01274 352 303 to arrange a free site survey or to get advice from one of our expert technicians.